The piece “Finnish company offers energy solution to mining companies: ready to invest in biogas power generation to cover Malawi’s electricity deficit” featured below was initially published in Malawi’s Mining Review Issue Number 28 2015 that is circulating this August 2015. Finland-based company, Nocart, says it is ready to help end the energy woes that Malawi’s mining sector is encountering by introducing biogas power plants that generate electricity using readily and locally available biodegradable waste materials. According to a Nocart representative, Mr. Manasu Tsvangirai, the company is capable of using waste from the food industry, municipal waste; green waste as well as animal manure from cattle, pig or poultry farms to produce energy that can power machines used in mining operations. 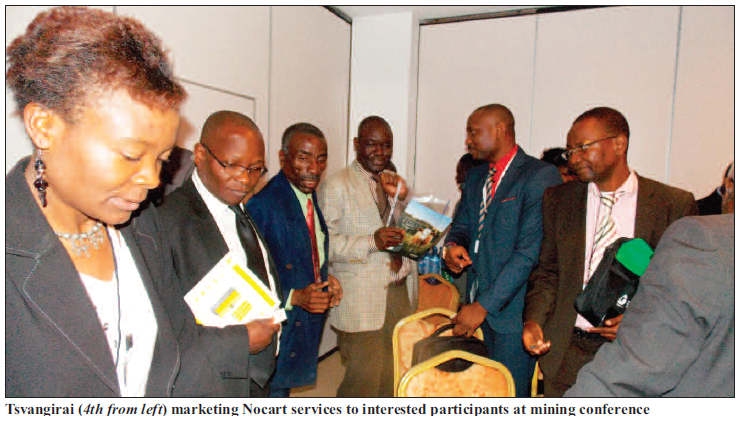 Mr. Tsvangirai’s offer came at a mining conference that was conducted on the sidelines of the recently held Malawi Investment Forum at Bingu International Conference Centre (BICC) in the Capital City, Lilongwe. He was directly responding to presentations on ‘mining experience in Malawi’ delivered by two mining investors’ representatives, Mr. Greg Walker of Paladin Africa Limited, a company that is mining Uranium at Kayelekera in Karonga District and Mr. Neville Huxham of Globe Metals & Mining an entity that was granted a ‘mining lease’ for a Niobium mining project at Kanyika in Mzimba District. The two gurus cited energy deficiency as one of the challenges that impact negatively on mining operations in the country. Mr. Walker, who is the General Manager for Paladin Africa Limited, said self-generation of electricity has remained a major cost impediment for Kayelekera mine, while Mr. Huxham, of Globe Metals & Mining said the Kanyika Niobium mining project would require a steady and reliable supply of power of over 20 Megawatts. The Company I represent has a solution to the energy challenges that the two gentlemen cited. We are ready at your asking to rollout our operations and provide you the power you need. He also said that Nocart is ready to engage Electricity Supply Corporation of Malawi (ESCOM) and formulate an agreement for it to be supplementing the power it produces into the national grid. 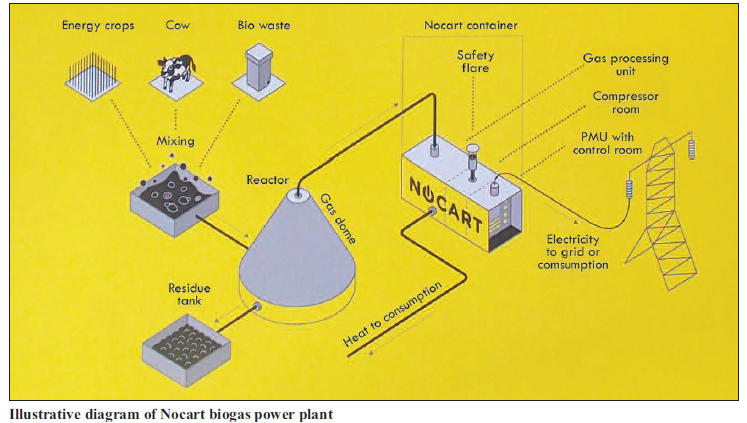 Information from a brochure that was distributed at the forum says one Nocart biogas power plant can produce electricity ranging from 30kilowatts to 2megawatts. The process of converting biogas into electricity is achieved by anaerobic digestion of biodegradable material into biogas. It is further indicated that with 12500 kg of cow manure, 3000kilowatts of electricity can be generated using a biogas plant, which is composed of a biogas reactor, gas processing unit and power management unit. A simple explanation of this, somehow magical, but simple power generation technique is that the source material – waste or manure- is fed into the mixer and mixed into sludge, which is then pumped into the reactor pool where anaerobic bacteria create methane. The product then travels in a pipe to the gas processing machine and power management unit where gas is compressed and cooled before it is burnt in engine generators generating electricity in the process that is fed into a local micro grid or any existing grid. Furthermore, Nocart biogas power plants are said to be not only easy to install and maintain, but are also cost-effective, simple and durable. And its modularity allows easy upgrading, with the system guaranteeing a 24/7 power feed regardless of circumstances. Apart from the aforementioned advantages, it is also said that the excess material left after the biogas process can be used as fertilizer for crops. Generation of energy through biogas has long been touted as a viable option by environmentalists in a world grappling with high pollution levels as its rare attribute of less greenhouse gas emissions qualifies it as environmentally friendly. Meanwhile, Tsvangirai said several agreements with local companies are in process and that his bosses from Finland will be coming into the country for final engagements that would hopefully result into deals.